As I write this I’m battening down the hatches and looking for a shovel to dig myself an underground bunker, because I have a sneaking suspicion that I’m going to be the voice of unpopular opinion. Let me explain. When deciding which soaps I enjoy most or discover I&apos;m most interested in watching on my DVR when I get home, I look at two things, quality (writing and acting) and enjoyment. These two can be in the same, or entirely different. The Young and the Restless and One Life to Live fall under the “quality” umbrella. I enjoy them because the writing is on fire and the acting is superb. On the other hand, I can enjoy some soaps at a gut level even though they may not have as good of writing or as strong acting. Call it “the show I like, but no one else seems to” factor. This is how I feel about Days of Our Lives. On this week’s CBS and Days of Our Lives podcast episode (which should air on Thursday) I reveal that Days of Our Lives is currently my third favorite soap, even beating out the drastically improved Guiding Light and my version of As the World Turns. This is something I have refused to admit, even to myself, for some time. If I did, might it mean I’ve succumbed to Dena Higley’s evil charms? I’m not saying that Days of Our Lives should win any awards or isn’t in need of further improvements. It shouldn’t and does. However, when compared to All My Children and The Bold and the Beautiful it’s almost Shakespearean. Kate (Lauren Koslow) is back to her scheming ways – not as good as Kate versus Sami, but it’s a step in the right direction – trying to manipulate Lucas’s (Bryan Dattilo) love life. Titan, once seldom seen or mentioned, is back. Sami’s (Alison Sweeney) return has made a big difference and I am really enjoying her relationship with Rafe (Galen Gering). The return of Will (Dylan Patton) and the addition of Mia (Taylor Spreitler) is laying the groundwork for potential. Given time, proper character development and a decent storyline these two actors show potential. Until then, watching Rafe trying to help Will accept his newly “adopted” sister was a highlight last week. Sure, Patton and Spreitler aren’t ready to go toe-to-toe with the teen casts at One Life to Live or As the World Turns, but they are certainly better than anything The Bold and the Beautiful has had to offer since Adrienne Frantz. Another plus, I don’t hate them like I do Melanie. Speaking of which, I can even make lemonade out of lemons. Thanks to the abominable Melanie (Molly Burnett) and her insipid storyline, Victor (John Aniston) has had quite a bit of screen time recently. One concern is what will happen to Darin Brooks after Rachel Melvin leaves? Ideally, he’ll throw Melanie off the dock, with a cement block tied to her octuplet ankle, and never look back. At the same time, the show really needs to find Darin a new leading lady. The only requirement; the love interest can’t be related to the Brady family in any way, shape or form. Bo the surly psychic is a terrible storyline, but at least we still get to see Peter Reckell and Kristian Alfonso. 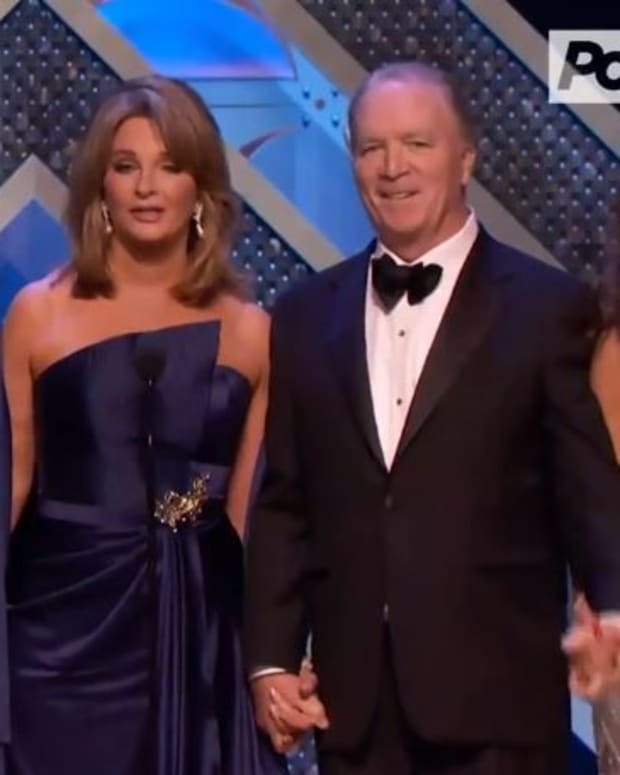 If this were General Hospital - which uses its 80’s supercouples oh so well - they’d be sitting in rocking chairs with drool dribbling down their chins. Shockingly enough I’m even enjoying Stephanie (Shelley Hennig). I don’t know if it is because Stephanie isn’t on my screen as much or if Hennig has been brushing up on her acting. Either way she’s improved. Over at DiMera mansion EJ’s (James Scott) flat ironed bangs seem to have disappeared. I’m hoping Stefano figured out a way to put them on a disc and they’ve been locked away in his safe, never to be seen again. Arianne Zucker (Nicole) continues to shine as one of the show’s strongest actresses. Hopefully the death of Tony (Thaao Penghlis) will give Joe Mascoloan opportunity to put Stefano back on track and that the phoenix will rise once again. Days of Our Lives still has a lot of things to improve so come after me with pitchforks and torches if you like, but I’m enjoying it. I know many fans aren’t enjoying it, but compared to 2008 I think it has made significant improvements. It isn’t The Young and the Restless or One Life to Live, by any stretch of the imagination, but it seems to be going in the right direction. That’s more than I can say for at least three other soaps at the moment.